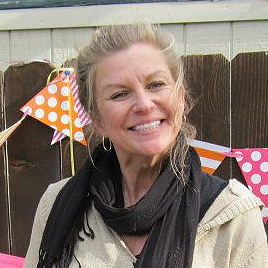 Owner and Operator of Teton Expeditions Scenic Floats. 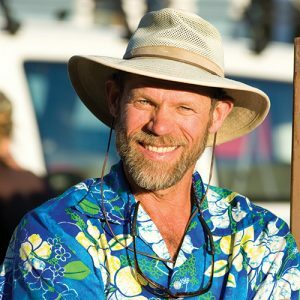 David has operated Teton Expeditions for over 25 years, and has built it to be one of the most respected whitewater outfits in the Jackson Hole Valley. 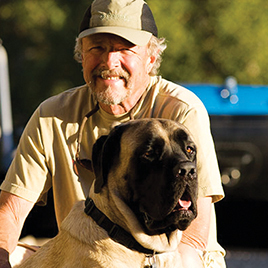 David prides himself and built Teton Expeditions on customer safety and service that has been well recognized in the rafting industry for the last 25 years. Stephanie is the office aficionado and can be seen multitasking the boat house while making you feel welcome in lovely Jackson Hole. She has a thorough knowledge of the area and can give great advice for eating, shopping and lodging. With a super smile and an eagerness to accommodate your rafting experience, Steph will leave a positive imprint on your Western Wyoming vacation. Jeff has grown up around Jackson Hole Whitewater and Teton Expeditions and worked every job available since the beginning. Cook, shuttle driver, bus driver, guide, and now GM, Jeff has the know how to assist in making every guest feel welcome and satisfied at the end of the day. He is an avid skier and fisherman and also owns a couple other businesses in town including the Jackson Hole Locals Guide and Attraction Menu and All World Window Cleaning. As a boy growing up in the east Evan dreamed of experiencing the old west as depicted in the movies. Films like “Lonesome Dove”, “Jeremiah Johnson” and “ The Good The Bad and The Ugly” seemed to consume all thought. A t a young age he could be found trying to out draw Yul Brynner while watching the “Magnificent Seven” instead of doing homework. 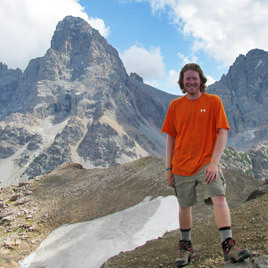 At 18 years old Evan left his hometown and headed to Lander, Wyoming, in search of adventure. What he found was a love for the mountains, rivers, lakes and streams off the Rockies and he never looked back. 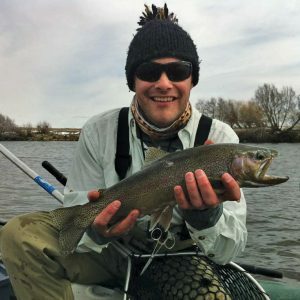 After living a semi nomadic lifestyle splitting his time between Colorado, Oregon and Wyoming Evan has managed to rack up an impressive river resume with commercial experience on 6 different rivers. He is Swift Water Rescue IV certified, and has lead river trips on the Wild and Scenic Rogue river, the Cataract Canyon on the Colorado, and the Grand Canyon on the Colorado to name a few. Along with his loving wife Sarah and son August, he is now a full time resident of Jackson. Although the days of living in a pick up truck and moving from town to town are behind him, Evans’ desire for adventure is still alive and well. Only time will tell what is in store for him around the coming river bend. Born and Raised in Jackson, WY BS Health Promotion Montana State University. Guiding Whitewater and scenic trip on the Snake River for 7 years. 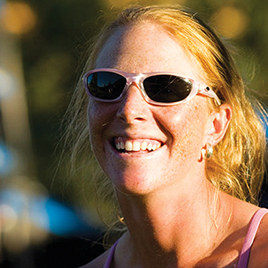 Crystal is Jackson’s hometown ski girl, known for her ski racing career as a young adult to her recent status as one of the top Big Mountain Skiers in the World. started his rafting career back in 1974 in Grand Teton National Park and it wasn’t long before his love of rivers became the center of his attention. Tom started Rangitikei River Adventures in New Zealand in 1978 and organized the New Zealand Professional Rafting Association. Tom returned to Jackson Hole in 1994 and has guided in the Snake River Canyon for the last 13 years. Brian is from Bend OR and has been living in Jackson since 2004. He has been playing and guiding on rivers for the last 15 years. In his free time he enjoys playing in the mountains if the world, rock climbing and ice climbing. 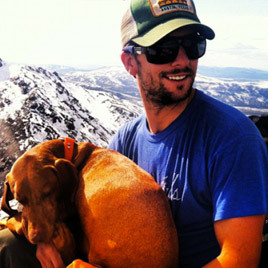 During the winter months Brian works for the Jackson Hole Mountain Resort as a videographer where he shoots and edits ski movies. He is passionate about the outdoors and fitness and can be found training at his wife’s gym, Wright Training where he is also an assistant trainer. 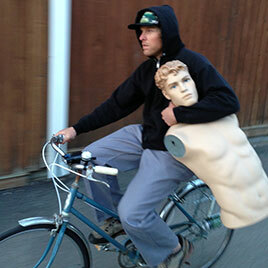 Born and raised in Austin TX, Ben has a BA in Adventure outdoor programming from the University of Utah. 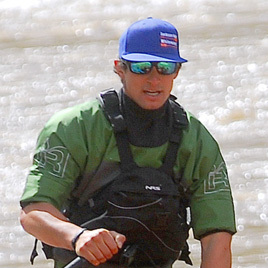 Ben got his start guiding river trips on the Colorado river in Moab, Utah and then moved to Jackson to explore the new rivers and world class skiing that Wyoming has to offer. 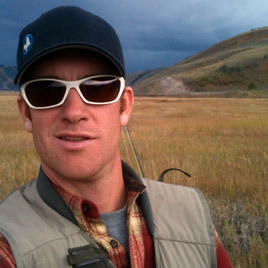 Adam Romines has been part of the Teton Expeditions family since 2005. The original "Yardmaster," between stints working behind a desk Adam has done everything from cooking breakfast to driving shuttle to guiding scenic trips. 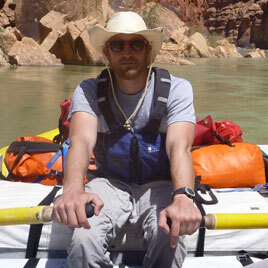 In 2011 Adam rowed 281 miles down the Colorado River through the Grand Canyon. When not on the river, Adam works as a contract web developer and enjoys skiing, biking and coaching the U11 boys team for Jackson Hole Youth Soccer. Adam has a broken Don Hill wooden drift boat named SS Ladyface II that he insists he’s going to fix one day. Sky Ganer grew up in New York and followed his passion for skiing to the mountains of Vermont, and eventually skier’s paradise: Jackson. Sky spends his winters teaching the youth to ski and shredding the pow. The last three summers Sky spent as much time as possible on the river, learning to raft and fish. Before moving to Jackson Sky lived in Boston and studied to become a lawyer. After being admitted to the Wyoming State Bar Association, Sky decided to follow his passion and immerse himself in seasonal work year round. 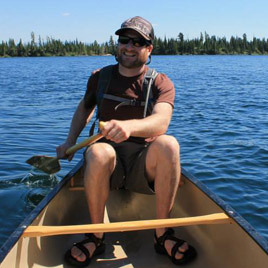 Sky loves getting after it in all seasons in Jackson, whether that is mountain biking, skiing, or canoeing with his wife, Sky loves to be outdoors and appreciate nature. Sky loves to study local wildlife and share his knowledge with friends, family, and tourists. Reid is a native of the great state of Maine, but a transient from birth, living in Seattle, Amish country, Washington DC, Holland, and Germany before settling down in Brunswick, ME at age 10. A graduate of the University of Denver, he is fairly new to the Hole, working 2 years for Teton Expeditions now, but already thoroughly enjoying it. Aside from exploring and floating rivers, he loves sliding down hills, climbing back up them, and moonlit meadow meandering. Originally from Kennebunk, Maine Ian has called Jackson home for two years. He first visited the valley with his family around 1998 and has been in love ever since. In 2012 he graduated from Colorado College, earning a degree in Environmental Science. Sports played a major role in his college career where he captained both the Lacrosse and rugby teams, and was named to national and regional all-star teams, respectively. Ian’s passion for river running began at an early age at a summer camp north of Toronto, Canada where he led whitewater canoeing trips for 14-15 year olds. During the winter months you can find Ian on the slopes or working in the ski shop at the Four Seasons resort located in Teton Village. 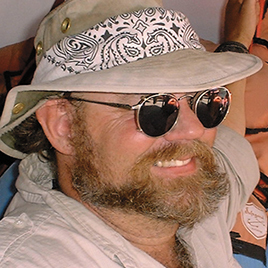 Originally from Texas, Patrick moved to Jackson in the 2005 and began guiding on the Snake River in 2006. He has played on rivers around the world, including the White Nile in Uganda, the Futaleufu River in Chile, and the Grand Canyon in the US of A. He has also commercially guided on the Nenana River in Denali National Park, Alaska. Patrick is engaged to be married this September to a woman that is better than him. God bless her. Although born and raised in Baltimore, MD, it didn’t take Mac long to find the rocky mountain west. 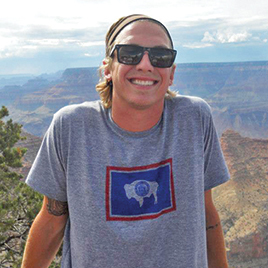 After attending University of Colorado, he headed up to Jackson to further enjoy the mountain lifestyle. 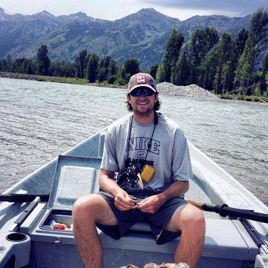 While only his second summer in Jackson, he continues to pursue his passion for fishing and rafting in the summer, as well as skiing in the winter when he is not working for Jackson Hole Mountain Resort.